Can't wait until our next event? For our next event we will be travelling to Rochester for the Motors 'N' Music Festival. The day will include a show 'n' shine display - including cars, trucks and bikes - live music, market stalls, kids entertainment and more. Due to ongoing roadworks in White Hills, we will be meeting in Huntly for a 9am departure to Rochester. ​Should be a good day, hope to see you there. Members that have ordered clothing can pick up theirs from the Clubhouse any Friday night from 5pm. A good friend of mine tragically lost everything he owns, including all his business equipment and his much loved FC Holden sedan show car in a recent shed fire. Doug's friends have all come together to help him out but they are in need of another body and any parts they can get their hands on. If you know of any FC bodies could you please contact me, thanks - Kim Tuohey 0438278381. ﻿Welcome to Custom Addictions Classic Car ﻿Club. 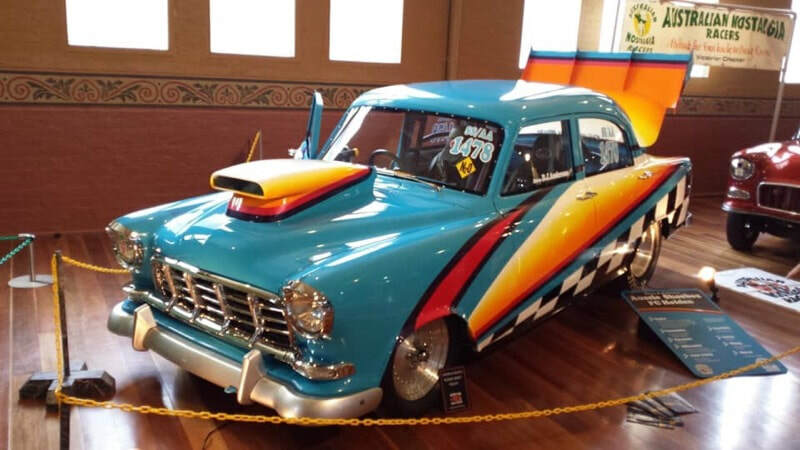 Based in ﻿Bendigo, Central Victoria, Custom Addictions was formed in 2012 by a dedicated group of car enthusiasts. We have the opportunity to camp overnight, so bring your classic, or the daily - and anything else you need for a great couple of days. Miss the kangaroos and cruise back at your own pace on Sunday morning. First Club Cruise of the Year!!! Many thanks to everyone who ordered Club Clothing, you'll be lookin good! Ordering is now closed and orders will be collated and placed with the printer. A text will be sent out when clothing is ready to be picked up from the Clubhouse. We're back again! For the second year running Custom Addictions will be holding their annual Club Christmas function at Big Bendi Waterslide in Jackass Flat from 11 am. A barbeque lunch with salads will be supplied, as will drinks and water for the kids and adult drinks for the bigger kids. The waterslide will be free for members and open all afternoon, so bring your bikini, mankini, budgie smugglers or shorts. If you still haven't had enough of us by 6pm, our Clubhouse will then be open for everyone to party on through the night. No, you don't have to go home if you don't want (or can't), just roll out the swag, tent or chuck a mattress in the back of the ute. Thanks for the hours you spent building the Custom Addictions logo.